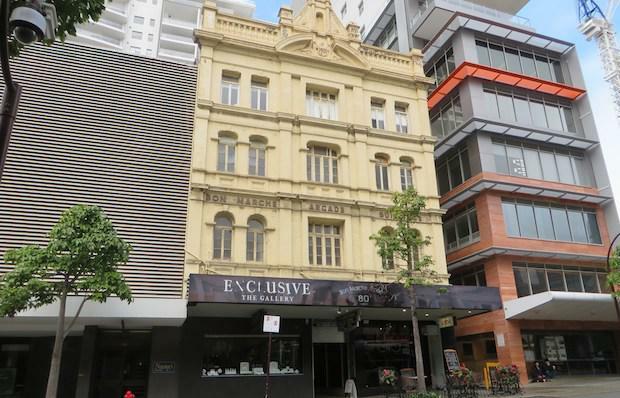 One of Perth’s most iconic and oldest shopping arcades, built circa 1901, is being offered to the market. Located at 78-84 Barrack Street, the heritage-listed Bon Marche Arcade covers a total land area of 481 square metres and comprises 1,047 square metres of lettable space across four levels. The Federation Free Classical style building features concrete and timber floors and brick structural walls. The arcade benefited from major restoration improvements circa 1989 – 1990. CBRE’s Michael Milne and Burgess Rawson’s Shane Isaacs have been appointed as joint agents to sell Bon Marche Arcade on behalf of the Desida Nominees, who have held the asset since 1985. Mr Milne said the asset represents a rare opportunity to acquire a free-standing retail asset in the heart of Perth’s shopping district, particularly at a time when Barrack Street is emerging as a prime destination. “Prominently positioned near Perth’s retail shopping malls, Hay Street and Murray Street – both of which are undergoing significant transformation - the Bon Marche Arcade will inevitably capitalise on the growing popularity of this evolving precinct,” he said. Mr Isaacs outlined that there were limited opportunities to purchase a free-standing retail commercial property such as this in one of the country’s most rapidly growing cities. “The property also offers significant growth potential and we expect there to be strong investor interest as a result,” he said. “Bon Marche Arcade not only offers the benefits of a substantially leased investment asset as is, but there is potential to unlock its full potential by consolidating the ground floor retail areas to attract A-grade retailers,” Mr Milne said, adding the upper levels could also be consolidated to accommodate larger floor plates. CBRE and Burgess Rawson are promoting the property for sale via offers invited.